I’ve been in Australia over the past week talking, among other things, about the politics of identity. The issue has, in the wake of the Christchurch mosque massacres, acquired new resonance. The gunman, Brenton Tarrant, who has been charged in a New Zealand court with 50 counts of murder, was Australian. It has led to much soul searching about white nationalism and its roots and about the role of mainstream media and politics in fuelling hatred. There is, though, in Australia as elsewhere, a strange disjuncture in such discussions. There is a heated debate about identity politics, which focuses primarily on the left, and on whether it makes sense to adopt such politics. There is an equally heated, but separate, debate about white identity and white nationalism. Rarely, though, have the two debates been linked or the relationship between the identity politics of the left and that of the right been explored at any great depth. Which is why when you do place the two debates within the same frame, it can feel to some as if the issue has been turned on its head. One of the consequences of the bifurcated debate is historical amnesia about the origins of identity politics. Most people imagine that its roots are on the left. In fact, they lie on the reactionary right, in the counter-Enlightenment of the late 18th century. It wasn’t then called the politics of identity. It was called racism. It is, however, in the concept of race – the insistence that humans are divided into a number of essential groups, and that one’s group identity determines one’s moral and social place in the world – that we find the original politics of identity, out of which ideas of white superiority emerged. Where reactionaries adopted an identitarian outlook, radicals challenged inequality and oppression in the name of universal rights. From anti-colonial struggles to the movements for women’s suffrage to the battles for gay rights, the great progressive movements that have shaped the modern world were a challenge to the politics of identity, to the claim that an individual’s race or gender or sexuality should define their rights, or their place in a social hierarchy. Only after the Second World War did the relationship between left, right and identity change. In the wake of Nazism and the Holocaust, overt racism became less acceptable. The old politics of identity faded, but a new form emerged – identity politics as a weapon wielded not in the name of racism but to confront oppression and to challenge inequality. Faced with a left often indifferent to their plight, black people, women, gay people and others transformed the political landscape by placing their own experiences of oppression at the heart of new social movements. But what began as struggles against oppression and for social change transformed over time into demands for cultural recognition by myriad social groups. The social movements of the 1960s gave way to the identity politics of the 21st century. The nadir of this process came with the demand that white people, too, be culturally ‘recognised’. Over the past decade, in the face of populist hostility to immigration, especially Muslim immigration, many mainstream commentators began arguing that white people should be able to assert what the political scientist Eric Kaufmann has called their ‘racial self-interest’. The identitarians of the far right seized on the opportunity to legitimise their once-toxic brand, reclaiming their original heritage. Racism became rebranded as white identity politics. And, having spent decades promoting the politics of identity, the left found itself paralysed in the face of this shift. There is no straightforward equivalence between the identity politics of the left and that of the far right. The former emerged from the decay of genuine movements for social change and betterment; the latter is the product of a vicious racist outlook, one of the most degenerate expressions of which came in Christchurch. It is, nevertheless, a measure of contemporary confusion that so many on the left imagine that an approach that draws upon ideas of group identity that lie at the heart of racial thinking can challenge inequality and injustice. Understanding the roots of identity politics, and turning conventional perception on its head, has rarely seemed such an urgent task. The image is Mark Rothko’s ‘Red and Blue Over Black’. Ideological liberalism (radicalism) and ideological conservatism (reactionarism) are both forms of identity politics, including those that identify with universal rights. Both liberal identities and conservative identities have their roots in 18th century studies in race with the former arising out of monogenism (Johann Friedrich Blumenbach) and the latter out of polygenism (Christoph Meiners). Both derived inspiration from the racial/species categories developed by Carl Linnaeus. Therefore both liberal and conservative identity politics have their basis in race, with monogenists promoting racial equality and a single human species and the polygenists promoting racial inequality and multiple human species. In this respect, racism (conservative particularism rooted in ancestral rights) and anti-racism (liberal universalism rooted in human rights) are both forms of racialised identity politics. Liberal universalist identities tend to negate or seek to transcend conservative particularist identities using non-white (single racial category), anti-white (white conservative supremacist) or multiracial (multicultural) narratives. Conservative particularist identities seek to refine (multiple racial categories through genetic variance), define (white ancestral rights) and negate liberal conceptions of mono-race politics. In other words, the attempt to dismiss conservative particularist identities from a liberal universalist perspective is itself identity politics which on the one hand is rooted in early monogenist racial categories and on the other rooted in ideological liberalism. As such, racialised ideological identity politics has, since Carl Linnaeus, been either associated with liberalism or conservatism, with the former promoting monogenism and the latter promoting polygenism. Not one or the other is somehow more or less susceptible to identity politics, both are two branches of the same tree and simply reflects ideological diversity. To deny this is simply a type of ideological identity politics that seeks to ignore, suppress, oppress, blame, demean and inferiorise the other and their ideological identity. The question is, if we are all of the one type (monogenism) as you ideologically believe, then it can’t be the liberal race or the conservative race (polygenism) since they are but two sides of the same coin of white European Christian Caucasianism that informed Enlightenment thinking at the time. I believe that we can transcend them both but that is can only be done through love, not fear and most definitely not through hate. Whatever you’re talking about it has nothing to do with identity politics as it’s commonly used. To suggest that an ethical basis that’s rooted in 3. things, 1. A belief in our common humanity, 2. Universal values & 3. Our rights ultimately come to us as individuals not as members of a group, is merely a kind of ‘identity politics’ is to reduce the term to utter banality and ignore what are two contradictory world views. What underpins thinking tied to Foucault, Intersectionality, Critical Race Theory, Queer Theory, Privilege Theory etc the basis of modern identity politics is a rejection of all three of those ideas. They’re myths, nothing more than expression of Western hegemonic power. I think the point is that racialised identity politics is underpinned either by monogenism and polygenism, with liberal identity politics rooted in universalist or monogenist ideological beliefs and conservative identity politics rooted in particularist or polygenist ideological beliefs. The former seeks to absorb the latter and the latter seeks to retain its distinctiveness from the former. This is the basis of the contradictory world views, with one seeking to reign supreme over the other. This dynamic underpins the so called culture war with the far left and the far right at the extreme poles of equality and inequality. I’d agree these two expressions of racialised identity politics are ideological and are expressions of western hegemonic power. I presume Foucault etc explain to some degree the fields of power that gives these competing ideologies shape and substance to our everyday lives but you would need to elaborate. Thanks. I wonder if the conflicts are really about identity or even racism. My impression is that we are facing a war between social classes regardless of your ethnicity. But it is true that the share of colored people (I hope the term is political correct) in low income groups is high. I agree. It is one between metropolitan liberal middle classes rising up against the old regime of the aristocracy. The working classes are torn between the two with some preferring the technocratic metropolitan liberal middle classes with their social and economic neoliberalism and the mass privatisation and marketisation of the public realm in order to finance their profits and jobs. Others prefer the old ‘conservative’ regime knowing that national democracy provides the opportunity to reset the old order between the upper and the working classes. These working classes distrusts the self-righteousness of these privatisation neoliberal middle classes who seem hell bent on appropriating public taxes to finance their privileged metropolitan lives. Wow! Admittedly, I am challenged and not sure if I can follow you. But just to avoid misunderstandings. I definetely support the claim for tax justice which means everybody has to contribute his fair share to finance free quality education & healthcare, social security, social housing for needy people, elderly care and a well-maintained infrastructure etc. Thus, I also welcome transaction taxes for e-commerce and condemn tax avoidance and evasion by The Money and ruthless global corporations. It is much favorable for citizens to pay taxes and to be part of a strong community based on cost sharing and solidarity than being on your own and forced to live as an overindebted corporate slave and consumption idiot. I agree but with EU privatisation laws and EU marketisation laws, public taxes find there way into the pockets of EU Corporate shareholders, i. E the private sector, via privatisation and marketisation contracts and franchises. The Neoliberal EU is the biggest daylight robbery scam going with European public taxes being funneled through the privatisation of public services, infrastructure etc into the pockets of private shareholders. The ones who gain are the EU neoliberal middle class professionals who are employed in the public privatisation sector. Hence their resistance to Brexit and the deployment of #ProjectFear which propogandises fear, doubt and uncertainty, deploys targeted othering and deploys plausible denialism. These reverse psychology marketing strategies are the basis of the class war. I’d even go as far to say that the targeted othering of immigrants is a #ProjectFear strategy to create fear, doubt and uncertainty about the integrity of the Leave campaign. However, UKIP and Farage are themselves to blame in this Conspiracy due to their very poor articulation of the effects of EU Neoliberalism, especially regarding national sufficiency in green infrastructure, public services, transportation networks, housing etc. A national sufficiency economy would not stop the management of inflows and outflows of people within a country. Here I sympathetise with Kenan’s perspective. Especially that we are in the midst of a booming global population crisis and most developed countries are already transgressing multiple planetary boundaries. The problem with the current debate about racialised identity politics is that it is not being articulated within the context of major systemic overhaul which replaces growth with sufficiency and replaces competition with cooperation. Until this happens, the same dialectics or antagonisms are looped into a tautology whilst those that profit from a fundamentally unsustainable system sit idly by. Well, as already mentioned, it is difficult for me to follow you…also bcs I am no Englisch native speaker and no UK politics insider. But I never read such a high density propaganda opinion before. I wonder why you chose the middle class as scapegoat instead of blaming the elites, global corporations and politics for decades of mismanagement in UK and other countries? In my view, there is no project fear. Oh ja responsible to explain economic basics to the people. I understand that leavers Ära annoyed that Brexit is not implemented yet…und frankly speaking After agreeing on a flextension on request of UK, it looks like the UK doesn’t want to leave at all anymore. In my view, it is important to highlight that nobody in Europe is Holding UK back from Leaving. It is Englands Lack of Capability to reach an internal consensus on Brexit and in a plan for implementation. In fact, die Number of EU voices is growing who welcome Brexit bcs England Leaves the impression of an opportunistic showstopper without capability to act as a fair teamplayer. It seems to look like UK Simply has got not the gute and courage to accept and live with consequences of Brexit. Sadly, no option can guarantee UKs inner peace as long as the society is roundabout 50:50 divided with slightly changing majorities. UK needs to clean up its closet and then come back to Brussels talking with one voice. The only question was, if UK shall remain in the EU for this interim period or if it shall leave with an option to apply for a new EU membership. Thanks for your reply. With respect, your post requires quite a lengthy response because so far our discussion has failed to incorporate sustainability politics and more importantly sufficiency politics. So far, we have also failed to integrate the wider context of the economic agenda of neoliberal globalization, the socio-cultural agenda of universalism and the political agenda of cosmopolitanism which for all intent and purposes is seen as the way to alleviate global poverty and achieve sustainable development. I use (neo) liberal to highlight the economic and social dimensions of the liberal consensus. In the context of Brexit, these different agendas are currently being played out on the European stage and are the ideological basis of the (neo) liberal consensus that drives the Remain agenda. However, upon deeper analysis, these (neo) liberal agendas are proving to be misguided liberal utopianism, whether at the European level or the global level. Similarly, this liberal utopianism is the source of self-righteous indignation that is also the source by which #ProjectFear is self-legitimised. This in turn legitimizes plausible denialism in which competing views and perspectives are deemed irrelevant or derided as inferior and irrational and targeted othering which seeks to demean and demonise the holders of these competing perspectives, even if these perspectives are empirically sound and supported by scientific evidence. In other words, the liberal ideological identity is seen as superior to any other type of identity. It is these self-legitimised dimensions of #ProjectFear thsat results in the accusations of illiberalism, illiberal democracy and authoritarianism despite the fact that #ProjectFear itself is an expressions of these things. However, what is really being contested or challenged by #ProjectFear is the national democratic basis of sovereignty and the ability of a nation to democratically control its economy and its ecology. This is obviously counter to the liberal utopian belief that sustainability and sufficiency are best achieved at Regional or Global scales of governance and management. In terms of a class struggle, the (neo) liberal agenda of globalization, universalism and cosmopolitanism strengthens the potential of a metropolitan liberal middle class uprising in which to displace national based aristocratic or traditional upper class formations with #ProjectFear utilized to force the working class to choose which side of history to be on – the right liberal side or the wrong conservative side. This provides the context of the sovereignty argument and the oppositions between a EU (neo) liberal technocratic centre of power and a national democratic centre of power with the latter incorporating its own opposition between parliamentary democracy and popular democracy (populism). However, the resolution of the intersectional issues of sustainability, sufficiency, national sovereignty and an EU (neo) liberal technocracy are not as simple as ideological liberal identities would have us believe. Overall, it is these contested fields of power that sets the overall context for the Brexit/Remain battle and which pathway will best reduce national anxieties regarding economic, cultural and political security and which pathway leads towards a sustainable and sufficient future for all. There is abundant scientific evidence to demonstrate that is abundantly available to demonstrate that the current (neo) liberal EU economic system is fundamentally unsustainable and is unable to deliver long term economic, social and ecological wellbeing and prosperity without the continued and sustained appropriation of foreign resources and future reserves of renewable resources. This in turn is causing national anxieties across Europe but (neo) liberal ideologues are seeking to close down debate because this will invariably mean the slow deconstruction of the (neo) liberal before it has even had a chance to get a foothold in the European System. Hence all eyes are on Brexit, to see how the (neo) liberal forces behind Remain will seek to destabilize national democratic systems of which #ProjectFear is an intrinsic part. In this respect, #ProjectFear is simultaneously seeking to capture British democracy, overturn Brexit and bring down the Tory Government, all in the name of ideologically driven (neo) liberal utopianism. At present, the aspects of the Brexit/Remain battle which are not being fully explored is the implications of a European wide single system that embraces the tenets of neoliberal globalization, which presently includes the privatization and marketization of what is traditionally considered the public sphere of public services and public infrastructure, cultural universalism, which specifically promotes human rights over and above ancestral rights, and political cosmopolitanism in which a technocratic supranational state overrules the democratic national state. The deeper implications are highlighted when the European single system is assessed for its ability to create resilience, sustainability and sufficiency within the overall system. Resilience is created through diversity and redundancy (see Stockholm Resilience Centre) whereby diversity replicates functional traits within different sub-systems. This means if one a functional trait is loss in one sub-system, it can be backed up by a functional trait in another. This replication of functional traits across the system as a whole is the basis of redundancy in that the diverse distribution of functional traits across a system ensures an adequate reserve of functional traits in case one or more are lost. In economic terms, this is represented by nations having the capability to be sufficient in the means of production by which to satisfy the needs of a national population. Therefore rather than a couple of European large car manufacturing plants that take advance of economies of scale, car manufacturing plants are distributed nationally so that in the event of a crisis which might shut down one or two plants, there are others which can continue operating. Resilience also requires buffers to limit connectivity so that in the event of a crisis, disruptions are isolated within a sub-system and less likely to spread to other sub-systems. This means for a system to be resilient, it needs to be differentiated into sub-systems which in the European context means the requirement for national sufficiency and an adequate degree of national autonomy in order to maintain the resilience functions that national sufficiency creates. Arguably, this is why Nature itself is demarcated into differentiated feeding territories since this is how the system as a whole is able to maximize resilience. However, a centralized single system approach reduces resilience the more it disempowers nations to democratically demarcate its own sufficiency regime and the more it reduces the ability of nations to democratically manage flows of people, capital, goods and services. This intersection between the ability of a European System to create systemic resilience and enable national sufficiency is the determining factor of whether the European System is able to be sustainable or not. The reason why the current European System is unsustainable and requires the appropriation of foreign resources and future reserves of renewable resources is because it does not create systemic resilience through national sufficiency. In this respect, (neo) liberal utopianism is currently unable to provide alternatives to the ability of national autonomy and national democratic sovereignty to create resilience and sustainability despite the oft repeated need for EU Reform. In other words, there is no EU Reform Plan because (neo) liberal utopianism is unable to imagine one without contradicting its own ideals. Hence, there is no manifest EU Reform Plan beyond #ProjectFear rhethoric. The only possible way in which European Systemic resilience and national sufficiency can be created is through deep forms of national subsidiarity which basically allows and enables the national democratic control over the sacred four economic freedoms. This would need the deep reform of the EU Treaties, whereby the sufficiency principle replaces the growth principle and the cooperation principle replaces the competition principle. In terms of cultural (identity)politics, this need for national democratic systems to create systemic resilience produces dilemmas, especially in the context of national self-determination. The fear is that majority white populations will exert ancestral rights over and above human rights, which to some degree is already happening in some Eastern European countries. Therefore the task that is at hand is not only to appreciate that (neo) liberal utopianism has no empirical validity but that the need for national democratic systems requires a re-invention of philosophical liberalism, one that takes liberalism away from ideological global liberalism to one that moves towards national liberalism. I argue this, because whilst the national provides the resilience and sufficiency solutions for the European system as a whole, the resilience functions of diversity and redundancy need to be replicated within nations too, so that both European systemic resilience and National systemic resilience are combined to produce optimal sustainability. Arguably, national systemic resilience needs to be created through liberal democratic debate as opposed to enforce illiberal technocratic interventions. …Uups…the English goverment decided to ask for flextension. That’s Another huge Conversion of the EU, in my view. That is very true. However, in my opinion, no one, or no side, is giving the full story. It’s far more complex and nuanced than anyone seems to want to talk about. Indeed, the two different sides to these issues are definitely not talking to each other, either in hostile silence and a few barbed public comments or attacks in media etc – or at the furthest extreme, are actually fighting and confronting each other in the way that has been happening with Anti-fascists and EDL types etc. I flew in to southern Poland the other day and have been thinking of things like this since I’ve been here. Having previously been in Africa for a few months, it’s a huge change. Here, no one knows I’m a foreigner if I don’t open my mouth. In Africa I was a “farangi” and a “mzungu” every minute I was outside in public. Having read Kenan’s article in the Observer on Sunday, I was thinking about it yesterday as I walked around Wrocław ….. a city that seems to be more than 95% white and Polish today – but was until the Second World War, a part of Germany and was diverse in its own way with – with a big Jewish population. Now that past seems almost forgotten, and the city is even called by a different name from the old one. Looking on YouTube, I saw this old video of Bangladeshi workers in east London protesting about the racist attacks they were suffering greatly back in the late 1970s. It’s interesting to compare back then, with modern day London. And Birmingham, for which I looked up a few statistics – and saw that the Muslim population of Birmingham (population 1 million) is just over 20%. But is not evenly spread, and most Muslims live in particular wards of the city, in concentrations of up to 70%. Just those basic figures themselves hint at a very complex and layered social situation. I’ve heard a bit about east European racism and resistance to taking in refugees and foreigners in the way that western Europe has been doing for several decades. And walking in Wrocław the last few days, I’ve gotten the idea that the people here weren’t really open for having the kind of experience with immigration and diversity that we’ve had in Britain. Because “to do” diversity and new immigration from different cultures really properly, it requires a host community to have very high levels of what we could call “wokeness”. If you don’t have high levels of that in a population, you’re going to have all kinds of troubles – the worst of which a Bangladeshi shopkeeper in Brick Lane talks about in that film. National Front thugs and skinheads attacked him in his shop and knocked some of his teeth out. Which is terrible. Thankfully, we’ve moved on and gotten better as a society than that now. Levels “of wokeness” have risen – but they still are far less than what’s needed to have a properly harmonious multicultural society with an ever growing diversity. And we never stop hearing about it from the more “woke” section of the society that is writing and talking about it every day. Pretend intellectuals are still writing books about “the death of Europe” (due to immigration and diversity) and people who strongly oppose them, are still only attacking their ideas from the side, but refusing to openly engage with such people to discuss the issues to their fullest extent. One thing about travelling that isn’t mentioned as much as how it supposedly “broadens your mind”, is how it can also show you how parochial and “unwoke” most of the world is. It’s full of pettiness and what I might call “peasant mentalities”. In Western countries we might have come a long way in improving, but we’ve also regressed into sectarian infighting over ideology and who’s right over these issues to do with immigration and diversity. And as we’ve started to see on social media, there are now moves to close down the “free speech” of people who left and liberal people find most objectionable. That has in turn, hardened the view of many people on the right I think. I can even sense it here. Already I’ve seen a few groups of young men who I wasn’t sure if they were either in the army, or were neo-Nazi types. Because that military look is quite popular. I also looked at a local online news magazine in English, and there were several stories about xenophobic attacks on foreigners. I think the outlook of these kinds of antisocial racists is partly shaped in a reaction to (intolerant) western liberalism. It’s all identity politics, and the label is just used by the right to silence the voices of the marginalised. We I guess makes you either right wing or a ‘coconut’. This article was written by a Green MP who’s background is as a human rights lawyer including work on the Rwandan genocide trials. If someone from that background is rejecting a universalist human rights approach (Whether she doesn’t understand the ideas the underpin the power + identity, universality is just another name for Western imperialism framework or what, I have no idea) then we’re in real trouble. Interesting. The political interventions of the 1980’s on race/class and gender were always understood as tactical groupings – equality would mean these strategic groups would then not be needed…. is your argument that equality needs to become the frame once again? That seems like a sensible swing of the pendulum when those without ‘labels’ who felt ignored or neglected (and were – but there shouldn’t be any need for labels!!) have pushed back with nasty racist politics. Could it be that the’ class’ issue is the one least looked at and now should be very seriously unpicked. Yes – class prejudice is the one remaining socially and politically acceptable prejudice. Partly because most middle-class liberals are among those guiltiest of it. This was a really interesting piece by Eric Kaufmann I thought. Using terms like “white ethno-cultural confidence” which I’ve never heard before. 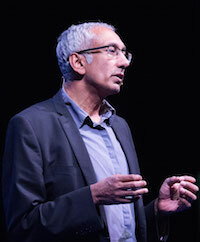 He describes how in several western countries, particularly in cities, the future is BME – and particularly, mixed race. I only noticed his article in The Australian, because I saw that he was speaking at Bristol University yesterday, and there was an “anti-racist walk-out” of the event, just as it was beginning. And I couldn’t help noticing ….. that the next tweet after that one she did, is a link to one of Kenan’s Guardian articles on white identity. So I’m guessing she’s a fan. Strange. Lastly, on identity and what’s right and wrong about how people identify with people they feel share cultural affinity with them ……. I noticed this “funny” video link in the twitter feed of one of the British left’s most active activists. He’s Indian born and also takes a close interest in the culture and politics of the Indian Subcontinent and its diaspora. It’s not super funny, although I do “get it” of course. But is there a certain amount of hypocrisy going on here, seeing how this guy is so heavily against most expressions of white or British cultural exceptionalism? The words “Left” , “liberal” and “hypocrisy” are synonyms. Part of the problem with this debate is the problem of white people defaulting to white liberalism as the means to be anti-white. This is obviously not a sustainable solution. This is demonstrated when these same white liberals brush off an anti-white comment by a white liberal in order to reinforce the ideology of anti-whiteness. The thesis of white and the antithesis of anti-white does not create the synthesis of post-whiteness but an ideological tautology. This is because post-whiteness, requires post-blackness or post-brownness which means post-POCness. Are POCs willing to give up their racialised identities in the same way whites are expected to give up theirs. The problem therefore is that white liberals want to see the end of bad white conservatives but do not want to see the end of POCness or their own good white identity. This ideological tautology requires ground rules that equally apply to all. No anti-blackness, no anti-brownness, no anti-yellowness, no anti-redness and no anti-whiteness. Otherwise it is post-blackness, post-brownness, post-yellowness, post-redness and post-whiteness which white and multiracial liberals know (or fear) may well mean defaulting back to the white racial system. This just leaves us with the antithesis solution of no anti-racialised categories whatsoever since the thesis of (pro) racialised categories inevitably leads to structural racism, especially when the system is populated by predominately whites people. Yes there is. Both agree that people are members of a group first, and individuals second. Both agree that “race”, as arbitrarily defined a quarter of a millennium ago, is the basis of these groups. Both agree that the “white race” (which evidently excludes someone who has a single great-great-great-great-grandparent of African ancestry, https://bit.ly/2WZuaoZ) is the single most important component of “race”, and so the thing that defines your essence. The only place they disagree is on whether your possession of the “white race” essence is morally good or morally bad. So here are the concepts that both share: the transcendence of the group over the individual; the existence of race; the transcendence of race over other ways of defining groups, that Whiteness and Nonwhiteness define these racial groups, the overwhelming importance of Whiteness (to the point where a four-times-great grandparent can make you Nonwhite), the possession of inherent moral worth of the Whiteness and Nonwhiteness groups — not the members of the groups, the groups themselves, like Jews to the Nazis. And here are the concepts they don’t share: which group, White or Nonwhite, possesses good moral worth. Like Jews to the Nazis. Your wisdom speaks a thousand words. All Europeanised and all Anglocized racialised identity politics flows from (the thesis of) whiteness and (the antithesis of) anti-whiteness. That’s a quote from Eric Kaufmann in a piece in the New Statesman. A pretty powerful view I think. Particularly the last sentence. We’ve got a huge blind spot in our political thinking on race, diversity and immigration. But we carry on banging on about it every day in the media just the same. It’s not like she doesn’t have a point. Most of the time these media race commentators do. But it’s always from such a narrow way of looking at things. And as you’d expect, some of the comments on the twitter thread after, we’re quite appalled that he could even ask such a thing. There was an interesting example of how demography can change culture and outlook at the end of last week’s Question Time. The question was about tackling the terrible spate of knife crime we’re living through in England. Particularly in London. One panellist was a (white) Tory government minister – and he gave the establishment government answer, then there was Charles Moore, former Telegraph and Spectator editor, who was much more focused and even mentioned the name of a particular housing estate in Wood Green north London where he spoke of gangs of youths “hunting each other down with knives”. The other two people were Tottenham MP David Lammy and radical young woman of Bangladeshi origin Ash Sarkar. And both of these gave the blaming the government and society response and spoke of how solving this problem was going to take huge state intervention. It was a sign of the future I thought. The old white order being replaced by the young and new BME radicalism. Everything was the fault of the old society, and older white people even maybe, and what was needed is a complete makeover and new approach (new society even). David Lammy blames white people for being uneasy about being living around black people who like to conceal themselves with hoods and show signs of being a part of the lawless street culture. Even when there has been a spate of stabbings in his part of north London recently. Some were even random stabbings of strangers, which is bound to scare everyone. But he insists you still shouldn’t have misgivings about the larger number of people who still like to dress in that style and conceal their faces. The signs of a division of outlook and understanding are becoming quite pronounced, and I think they can only become more stark as time moves on and society continues to change. The elephant in the room – which is driving forward all the clashes of identity and between ethnic groups – continues to be Capitalism. The situation is not helped by the refusal of some liberals and leftists to recognise that because of globalisation, many working-class white people have and are being sucked down, rapidly, from being Privileged to being Oppressed. And in their (very reasonable) panic and distress, grasp at straws, notably the Far Right. Do working-class whites in, say, Glasgow or Rotherham, possess White Privilege ? Doubtfully, if at all. Though they are always being accused of Privilege by other white people far more privileged than themselves. And we have the obscene spectacle of voices from, say, Academe denouncing the Plebs as privileged ! But then, middle-class liberals and leftists have always been the Far Right’s greatest asset – witness Weimar Germany or Spain in the 1930’s. Absolutely, the self appointed guardians of racialised identity politics are capitalist (economic and social) neoliberals. That is the metropolitan liberal upper middle classes (bourgeoisie) and the metropolitan liberal middle class professionals (petite bourgeoisie). As Marx points out, these capitalist groupings will seek to capture the cultural realm and reproduce the power relations within it. In the context of Brexit, this is being done through #ProjectFear. The Far Right’s greatest asset has always been middle-class liberals and leftists – witness Weimar Germany or Spain in the 1930’s. Nowadays, the said liberals and leftists denounce working-class whites (though not themselves !) as possessing white privilege. And an explosive growth of the Far Right becomes inevitable. The difference now is that EU neoliberal fascism is actually composed of these liberal (right economic and left cultural) middle class groupings rather than them being used as convenient scapegoats. I went to visit Auschwitz today. It has a big effect on everyone who goes there I’m sure. It certainly did for me. Going to it and coming back on the local train, you pass through the deindustrialised landscape of Silesia and I was reminded of parts of northern England. Places like West Yorkshire. The lack of ethnic diversity in this part Poland is quite jarring. Most of the minorities that had lived here were killed and the place has never had West Yorkshire levels of inward migration – and I was wondering would it be a different place if it had? There would probably be West Yorkshire type pockets of Muslims and other south Asians all over the place, like you see there. And whole neighbourhoods and wards of towns with Muslim majorities. And the shops and local high streets shaped by the business acumen of those south Asian immigrants. The taxi trade would probably be heavily altered too, by a flood of new drivers looking to do that work. And I thought that the murdered and vanquished Jews might have held a similar roll in the local society before the Nazis came to power. They would have had similar numbers to the Muslims of West Yorkshire in some parts of Poland and Central Europe. And been assimilated and middle class, as well as more religious and also as working class as the Jewish people were back then. But I keep coming back to the question about what would the Polish people think of having British levels of immigration, here now? What if you asked people and they just said they’d rather keep things as they are? That’s a problem I have, because I do think a majority would say “no” to what we’ve got in England. Because I’m here, I watched a terrible racist’s video “documentary” on Poland the other night. He’s a Canadian Youtuber called Stefan Molyneux. He came here in November and did a one hour video about being here and the country and it’s history. Although I can’t agree with his overall outlook – I do think it’s important to listen to opposing points of view. He loved it of course. He gave a list of all the things that made it better than being in North America and much of Western Europe. Being 97% white was one of the things he thought was great. Because he felt, it gave the country an air of calmness and cooperation. And there wasn’t that culture war thing going on and people arguing about what you can or can’t say. Even though I can’t agree with his conclusions …… I feel that too. It feels a lot less drama laden than London where I’m from. There are no really dodgy people all over the place. Not that I’ve seen anyway. There are a few tough looking guys about, but I don’t think they bother you if you don’t get involved with them. He also thought it was great that he could hold a public meeting at a venue in the middle of Warsaw – and not have it cancelled, or attacked by anti-fascists like would happen to him in most Western countries. He also made much of the suffering of the Polish people in their history and how proud a nation they are today. I know he’s “a fascist”, but these issues are far more complex than almost anyone wants to admit. While I do not agree with your central point I was struck by the number of times that you used to terms Left and Right. I cannot help but wonder why we don’t just cut the case and drop parties in Democracy. Then we could just drop ID by association and have representatives that reflect our needs and interests. Democracy without parties is concesus!